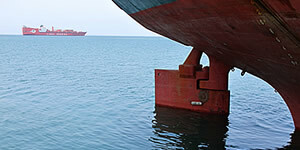 AFRICAMAR Shipping and Logistics, was created in 2012 by the BUDD, NAXCO and CM2A/GATO Groups, all of whom combine long-standing backgrounds and expertise in Line Management, Ship Husbanding, Logistics, P&I and Surveys with in-depth knowledge and experience of the African continent and its maritime context. Africamar is geared to meet the increasing needs of trader/charterers and ship-owners for professional, independent agency coverage in the rapidly-expanding West African markets. Based on solid business foundations, Africamar offers all shipping market segments a carefully selected, comprehensive network of reliable affiliate agents to take up your challenges. With its core team’s experience in serving international clients, Africamar offers an integrated structure with a common corporate culture and code of conduct. Our two hub offices in Lomé (Togo) and Bordeaux (France) are at your disposal to meet all your requirements. Africamar is the new alternative to assist and advise you in Africa. Africamar’s agents have all the relevant mandatory and recommended licenses, permits and approvals required for the provision of agency services in the countries of North and West Africa in which they operate. All our offices are fully staffed and equipped to safeguard our clients’ interests, with state-of-the-art IT and communication systems to meet market expectations.